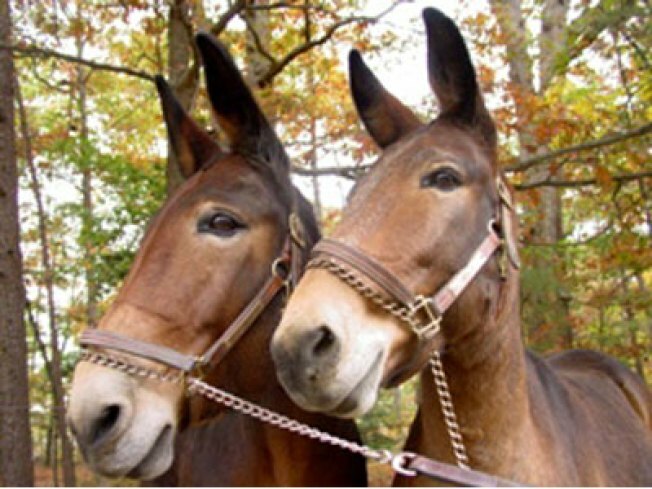 Mules Lil and Molly are ready for your visit. Walking passed the canal along Thomas Jefferson Street in Georgetown may make you imagine being on a boat on Le Canal Saint-Martin in Paris. Too bad you’re still in Georgetown as you keep walking past it. Yeah, we know, our city may be nothing like France, but from now until October you’ll be able to pretend is it. Boat rides are again being offered on the C&O Canal, but the only difference is instead of being steered by a hot Frenchman, these are pulled by mules. Yes, mules. Very old-school, we know. But that’s the fun of it. Right? If you're interested, hop on for an hour-long ride as park rangers tell of old tales while decked out in period clothing. It doesn’t beat Paris (bummer), but it’s the closest you can get in D.C. Cost is $5. Click here for more information.